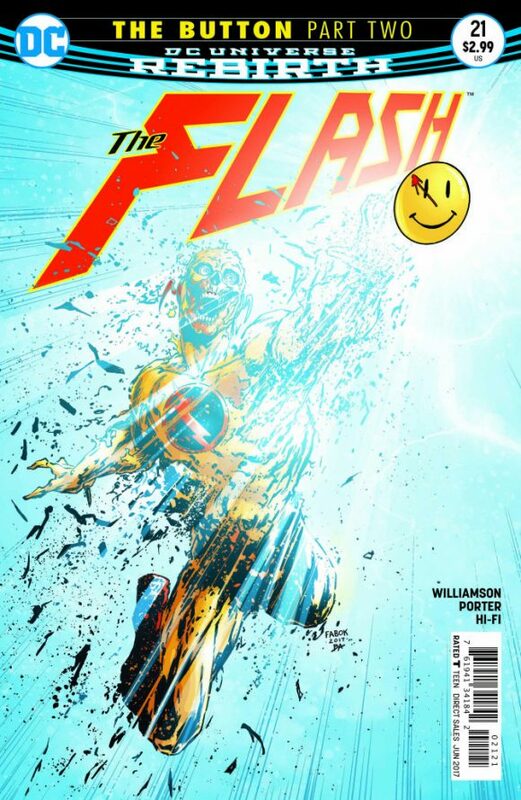 The Flash #21, DC. I’ve read it. All I’ll say here is that things get moving (pardon the pun) with The Button crossover and if you’re at all interested in what’s in store for the DC Universe as a whole, you really oughta pick this up. By Josh Williamson and Howard Porter. 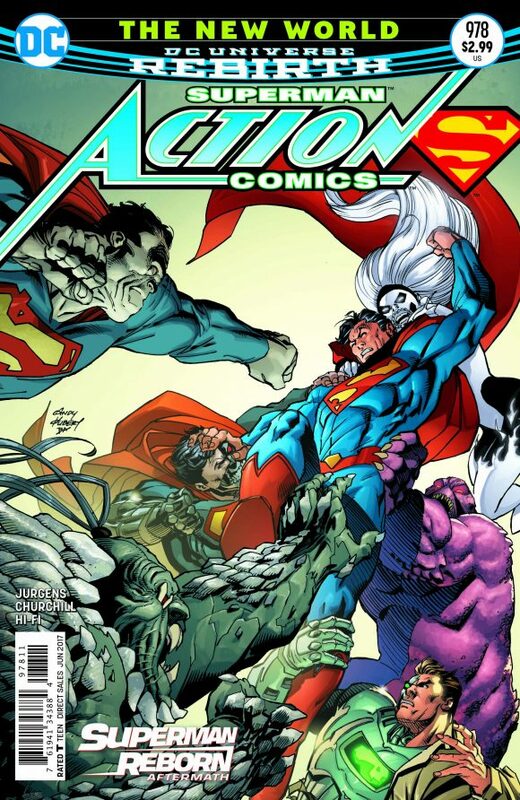 Action Comics #978, DC. I’ll more or less repeat what I wrote when I posted the EXCLUSIVE PREVIEW the other day (click here to check out the issue’s first few pages): One of DC’s can’t-miss titles right now is Action Comics, which is in the midst of telling the origin story of the merged-timeline Superman. Or maybe not so much telling as clarifying what constitutes that origin since pre-Flashpoint Superman and New 52 Superman basically now share the same life. Kind of. Anyway, it’s good stuff and essential reading for any Superman fan — or DC fan in general. Brought to you by writer Dan Jurgens, artist Ian Churchill and colorist Hi-Fi. Old Man Logan #22, Marvel. 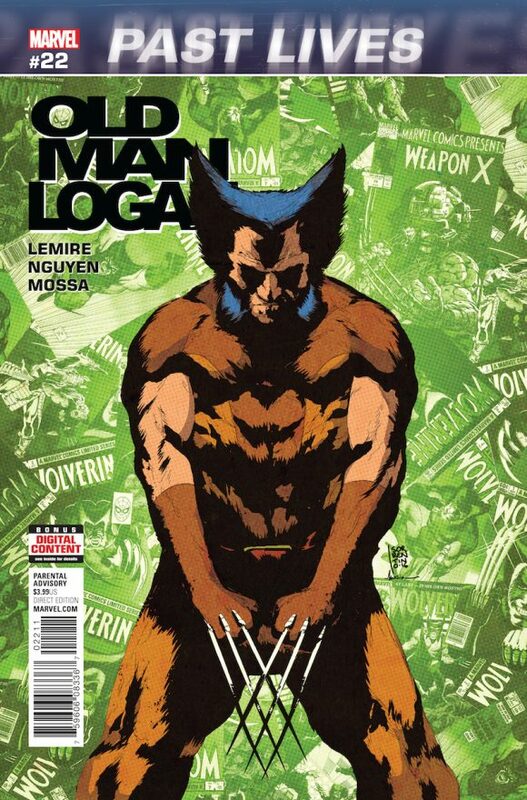 Logan goes back to the ’70s only in story time it’s not the ’70s but the generic past when he battled the Hulk and Wendigo for the first time. Got that? Good. By Jeff Lemire, Eric Nguyen and Andres Mossa. X-Men Blue #2 and X-Men Gold #2, Marvel. I’m still not sure which of the two main X-books I like better. Both are out this week and you can see an EXCLUSIVE PREVIEW of X-Men Gold #2, featuring some of Ardian Syaf’s final X-work here. 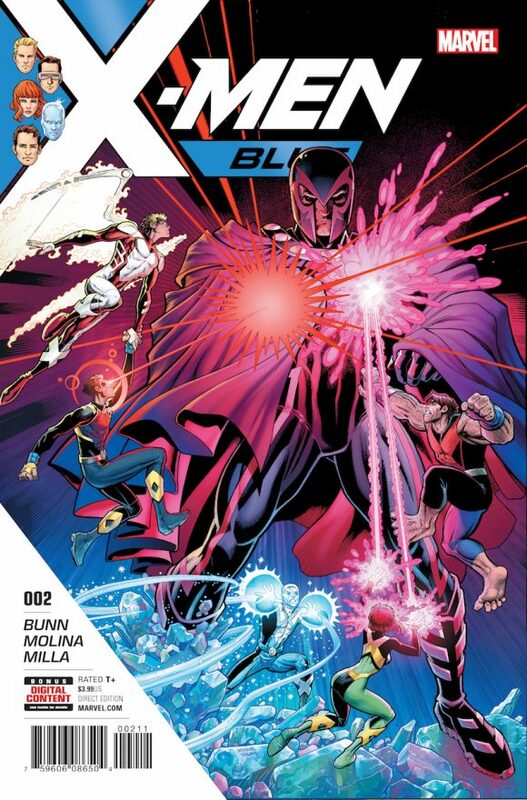 Right now, I’m leaning toward Blue, by writer Cullen Bunn and artists Jorge Molina and Matteo Buffagni, for what it’s worth. Not that it’s a contest or anything. 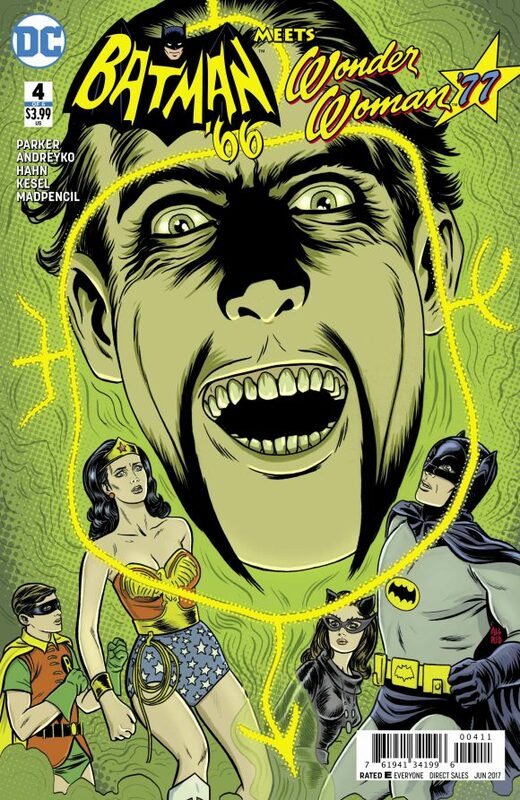 Batman ’66 Meets Wonder Woman ’77 #4, DC. Because there is no way I will pass up an opportunity to mention how Mike Allred drew Christopher Lee as Ra’s al Ghul on the cover pretty much because we asked. (Click here for that awesome backstory.) By Marc Andreyko and Jeff Parker, David Hahn and Karl Kesel. Flash By Mark Waid Book 2 TPB, DC Comics. 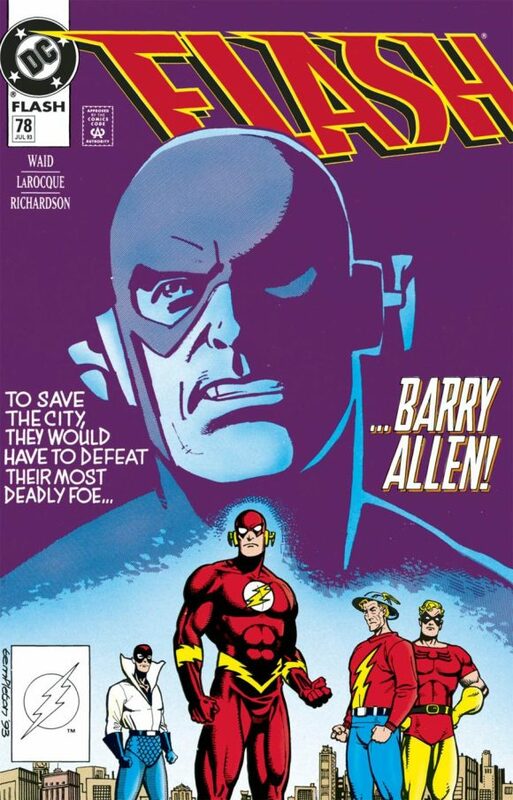 More of Mr. Waid’s spectacular Flash run, finally back in print. 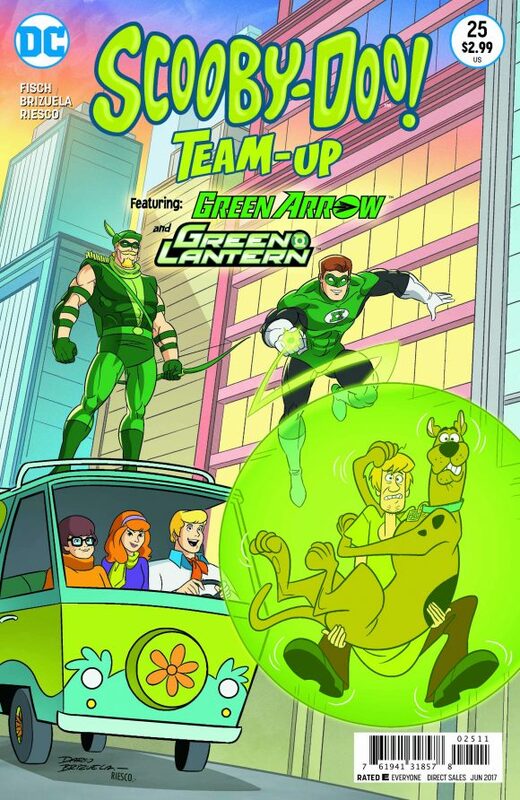 Scooby Doo Team-Up #25, DC Comics. It is kind of strange that the versions of the Justice League I love the best tend to show up most often in Scooby-Doo. Young Justice Book 1 TPB, DC Comics. 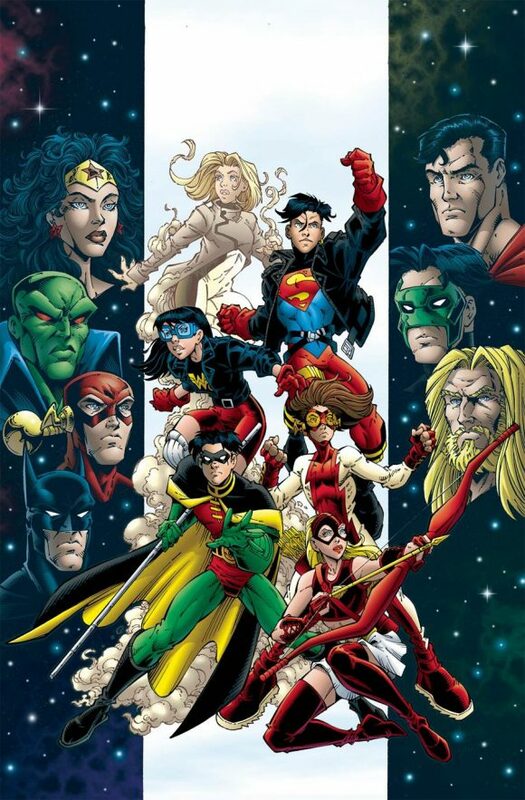 Peter David and Todd Nauck’s Young Justice was a series that started off really good and went on to become great. Get in on the ground floor now. 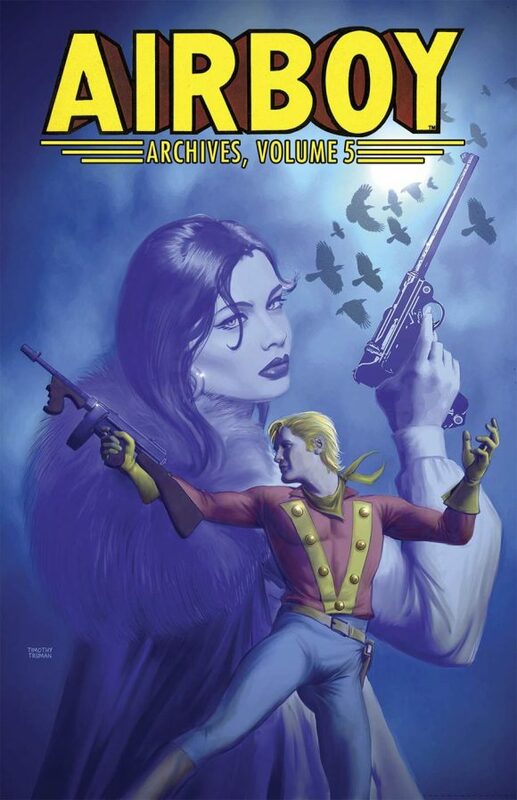 Airboy Archives Volume 5, IDW Publishing. The final collection of Chuck Dixon’s fantastic, wildly underrated Airboy series for Eclipse. One of the great unsung comics of the 1980s. 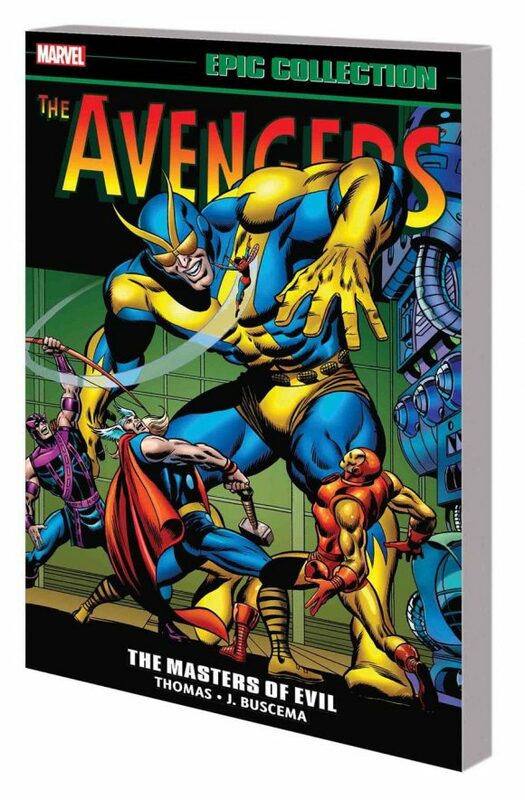 Avengers Epic Collection: The Masters Of Evil TPB, Marvel. Roy Thomas and John Buscema’s legendary Avengers run is here! Looking for Black Panther joining the team? Hercules? The debut of Ultron? The new Masters of Evil? It’s all here.